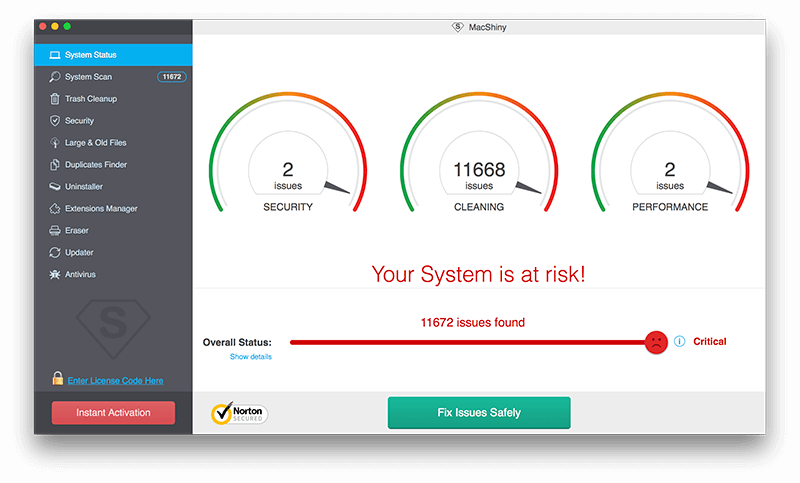 Not many Apple computer owners use third-party cleaners as their devices are provided with the utilities that can solve the same problems cleaning apps do. Those are built-in tools like Activity Monitor, Disk Utilities, Terminal, etc. Moreover, those who own macOS High Sierra have probably noticed an option called Optimized Storage. This one can automatically clean and upgrade the system. A user just has to think about the frequency of cleaning operation and some other minor tasks. Anyway, people still download and install third-party solutions. In some cases, they are just too busy or, frankly speaking, lazy to do the procedures manually. It is okay to use third-party apps to ease your life. However, while many of them exist, it is hard to pick what is best for you sometimes. That why this MacShiny review might be useful. At least you will understand whether you are okay with the built-in utilities, or having a third-party solution is a nice idea. How Safe MacShiny for Mac Is? As far as the application promises to protect any Apple computer from the potential online threats, it would be funny to discover that MacShiny itself comes along with some malware or adware. 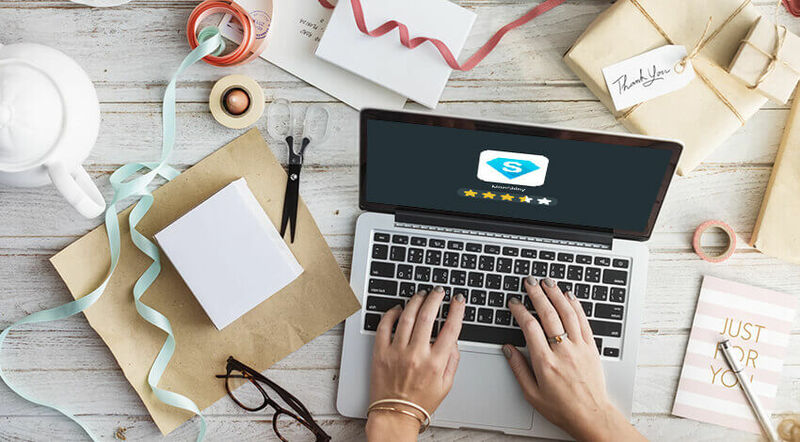 In fact, many third-party cleaners that people download from places different from the App Store or official developer’s websites may contain harmful or just annoying content. It is difficult to claim whether MacShiny is totally secure or not as various users share different feedback. While some of them do not notice anything wrong with the software, others believe the malware and adware discovered on their devices is nothing else but a product of MacShiny or similar third-party applications. In some cases, these people may be right; in others, the malware and adware could have been present on their devices before MacShiny was downloaded. Sometimes, it is not enough to look just at the ownership details, location, or app’s popularity to conclude whether it is safe and effective or not. Thus, it is important to check some legitimate security researches. Unfortunately, the results of the majority of surveys are not pleasant: MacShiny was detected as a potentially unwanted program (PUP). It may serve as a downloader for malicious software. It is high trust rating is basically a fake. It is enough to check MacShiny.pkg to discover such suspicious files as BV:Downloader-OA [Drp] and Trojan.Linux.Downloader. These parasites may install the potentially unwanted programs. At the same time, MacShiny is not completely useless. The website is not a total scam even though it often redirects people from the non-English speaking countries to the websites with filthy, adult content. In the section below, a Mac owner may read more about the advantages and disadvantages of MacShiny to make a final decision. 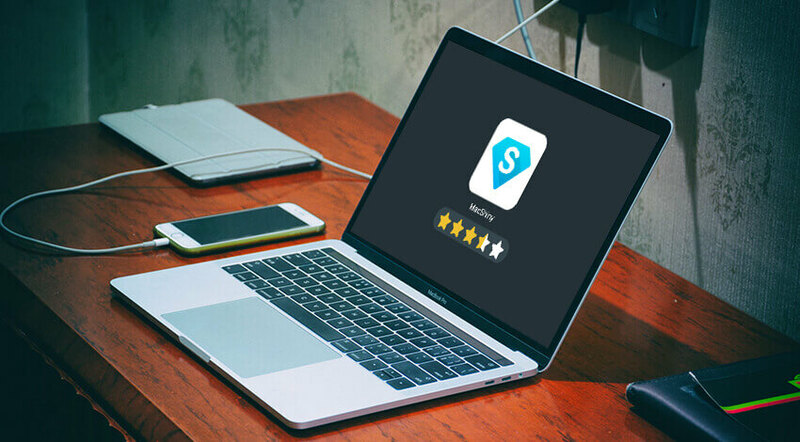 For some users, MacShiny may come across as a solid purchase, but it is not that beneficial as it may seem from the first time. If a person gets lucky, and MacShiny works exactly as he/she expected, the investment might be justified. However, if you do not plan to use the app for a while, you may get into the financial trap! On the whole, a 2-year license costs only $5.95 per month (total of $142.80). If the person purchases this plan, he/she will pay for that two years long no matter whether the tool works or not. The developers made it impossible to quit the subscription during that period of time. Be ready that personal account information will be billed without authorization. One should be really careful even with the free offers. So, as a cleaner, this tool might work. However, it is still doubtful whether MacShiny really protects a target Apple computer from the possible online threats. The best idea would be trying a free version first as it includes the basic features you might need. Purchase the plan only if you are sure about the effectiveness of this software. Otherwise, you should think about other, time-tested alternatives. As already mentioned, MacShiny is best used for its basic features that come free with the app. Unfortunately, these features are soon insufficient to satisfy the needs even of a newbie Mac user. Typically, this is where one would consider opting for a paid plan with added functionality, but MacShiny, in this regard, is not credit card friendly. Demanding users should take a closer look at MacFly Pro when considering MacShiny alternatives. Despite being a fairly new player, MacFly Pro has already proven to be a capable one. It nails every power-user feature and offers competitive pricing rounding up for overall great bang-for-the-buck kind of package. 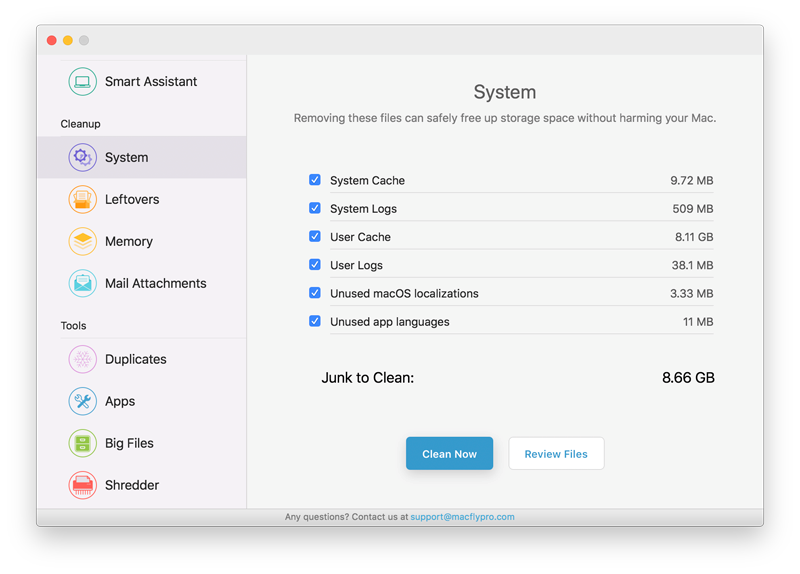 MacFly Pro will enable you to do the same things, quicker, and result in more free space. On top of cleaning and maintenance essentials, MacFly Pro comes with its very own Smart Assistant, which will help ensure you are always on time with your maintenance. If this does not sound convincing enough, you can check out our full MacFly Pro review for more information before giving it a shot.